This September I delved back into my expression and love of painting and working with colour. If you’ve been following my work for long enough, you’ll know that my business started out as ‘Rhythm In Colour – Cultivating Courage in Women to Shine’, in 2009. (Check out this 20 second video clip from my Women of the World Creative Expression workshop back in 2011!). I’m still all about cultivating courage in women to shine, including myself – but recently, I had a man ask me if I also work with men. Curious about connecting with his feminine side and how this would influence his life as an (currently stagnant feeling) artist, he was courageous in wanting to explore something new and completely unknown. He wasn’t even 100% sure what I did! Yet he trusted his intuition to get in touch and ask, knowing that there was something I could help him with. 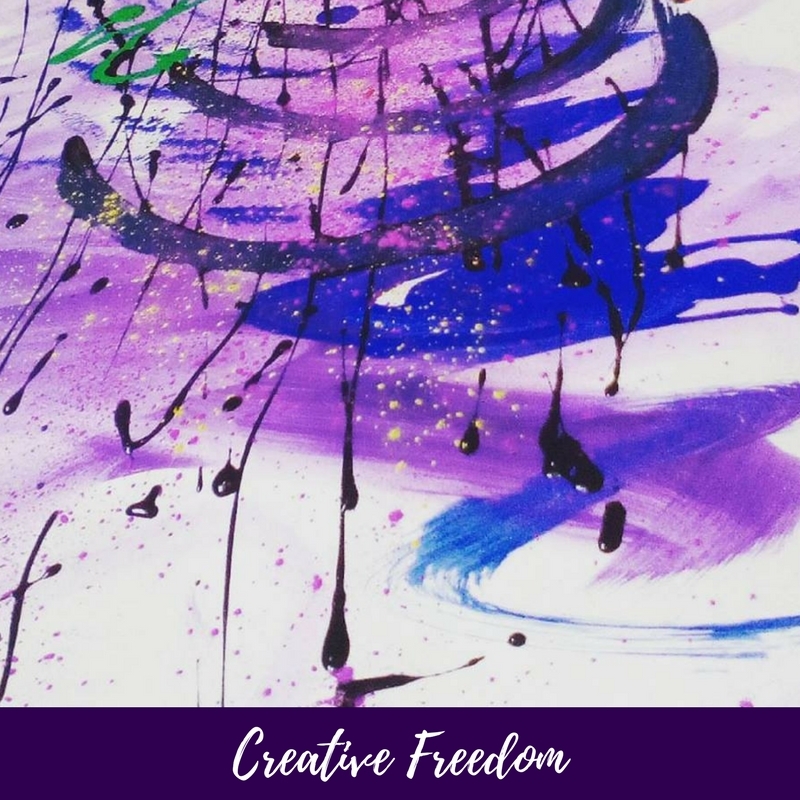 I was delighted and excited to unleash my creative toolbox (external and internal) the paints, the colour, the music: and help to create the physical, emotional and energetic movement needed for change to happen. This is the Language of the Feminine at work – trusting that impulse, that knowing, that curiosity, the desire for change, for transformation, freedom, creative flow – for adventure – to feel alive and in the pulse of life and to be able to bring that energy and let it flow through your work and relationships. It was wonderful to hear that the results of our session together were having positive ripple effects in his life the following week – more flow – more joy – more energy and alertness – a wonderful new surge of ideas and inspiration = new lease of life. It takes courage to take that first step towards change, which includes asking for help. Curious to find out more about my private sessions with art? Reply to this mail and ask. 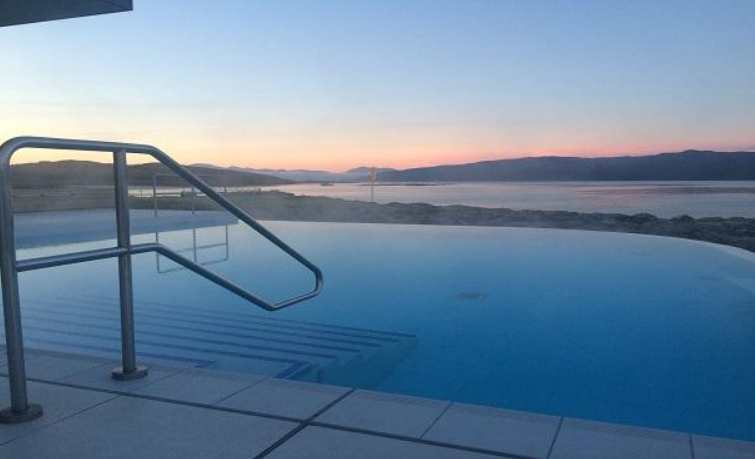 From the 3rd – 5th of November 2017, I’ll be hanging out at the sumptuous Portavadie Marina Spa beside Loch Fyne in Scotland (see the images above!). But I won’t be on my own – I’ll be with a group of amazing women gathering to share, speak, teach and connect about our knowledge of the divine feminine and why we are bringing the wisdom of feminine intelligence into our own lives and sharing this message with others. I’ll be teaching a short immersion workshop – Feminine Embodiment – Listening to the Language Within – on Saturday the 4th of November – and I’ll be there for the weekend, answering questions from my book stall with some gorgeous, nature-inspired jewellery designs on sale (and likely bathing in the outdoor thermal pool overlooking the loch!). Learn more about all of the speakers, workshops, meditation and yoga events happening at > The Goddess Gathering – Get your tickets and find out more on the Facebook Event page. Day and weekend tickets are available for this event in this stunning location – it’s going to be luxurious, nourishing, divinely feminine, and fun! I’ve also been working on my own personal art pieces out in nature, between swinging on the garden swing (also under the stars at night) – take a look on Instagram to see what I’ve been up to. *If you don’t have a purchase receipt because you bought the book at an event, click the link in the email to join the group and you’ll be added. You’ll also receive a free Pleasure Project Journal & Workbook to download, giving you more space and freedom to brainstorm and create.